Hi friends! Today I'm sharing a project using dies by Tutti Designs! 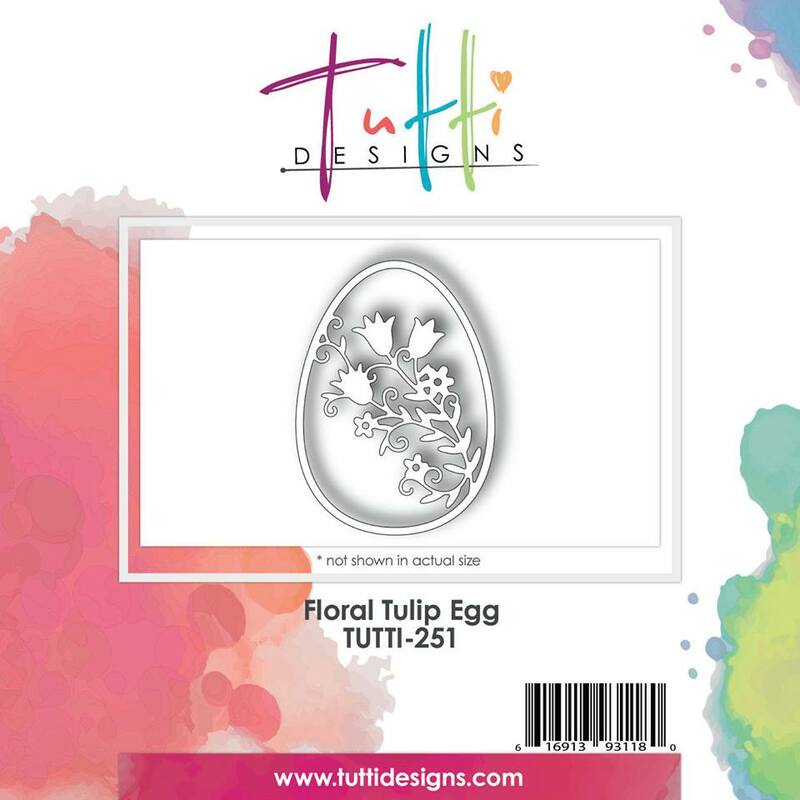 Tutti Designs has been busy creating away so many fabulous new dies so be sure to stop by the store and check out all the new releases! To make this card I simply die cut the Egg and adhered it to pink card stock and trimmed the excess card stock around the border of the die cut. Stamp your sentiment with pink chalk ink and emboss with pearl embossing powder. I also added some stamped florals around the egg, do this before you adhere your egg to your card. I used foam squares to bump up the egg and give it some dimension. I ended up making a dozen of these cards (4 in blue, 4 in pink and 4 in yellow) to send to family and friends. Beautiful and love the matching envelope! WOW a dozen of these beauties! Great job and awesome inspiration! Thanks Debbie! Debbie, this is so beautiful! Stunning photo and I adore the elegantly understated design, just perfect!